The Family & Learning Center provides a unique type of one-on-one tutorial intervention called Educational Coaching. Our blog provides educational tips to improve your child’s study habits. 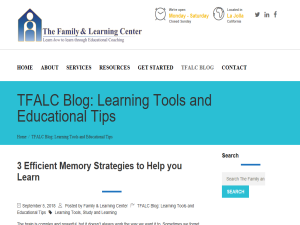 This what your TFALC Blog - The Family and Learning Center Blog Ad will look like to visitors! Of course you will want to use keywords and ad targeting to get the most out of your ad campaign! So purchase an ad space today before there all gone! It’s that time of year when we suddenly have those sunny evenings that quickly lead into summer! Summer is an ideal time for supporting kids’ individual interests and needs, but can also lead to summer brain drain. Outside of the classroom, they are free to learn and play in summer camps, explore outside, and develop academic skills that require extra support. We are especially lucky to live in an area where there are an abundance of summer learning activities. Unfortunately, many kids end up losing ground over the summer without the consistent reinforcement of classroom practice. 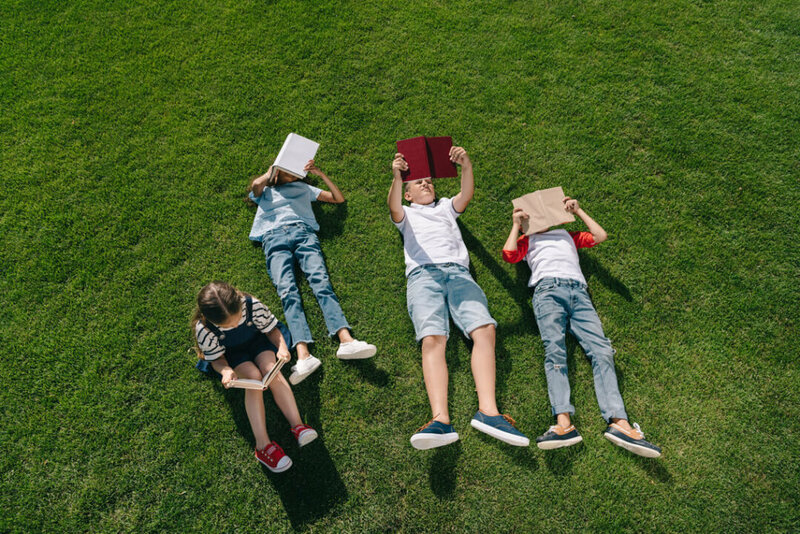 A recent Brookings research review found that summer learning loss “wastes” much of the knowledge students have worked hard to gain during the school year. Some studies show kids lose as much as two to three months of math and reading skills by the end of summer. Avoiding summer brain drain does not need to be stressful. Learning can be mixed into playing board games, planning a vacation together, or cooking meals. With the flexibility to choose high-interest reading material, kids can find books from the library about topics they enjoy, try out some graphic novels, and read magazine and news articles. Older students can develop their executive function skills and explore their interests through summer jobs or volunteer opportunities. In order to maintain and strengthen specific math and reading skills, researchers recommend offering evidence-based instruction with hands-on and engaging activities throughout the summer. This is exactly what we aim to do at The Family & Learning Center as we plan individualized sessions for each student who spends part of her summer here. In addition to reading and math support, we also offer perceptual reasoning training, standardized test prep, writing development, study skills instruction, and back to school prep. To gather more information or register for summer sessions, please click here for our summer learning program page. 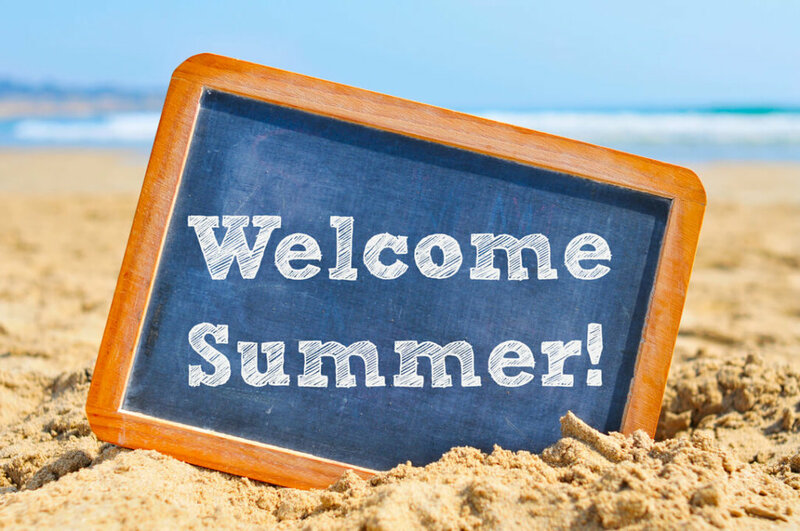 The post Tips to Avoid Summer Brain Drain appeared first on The Family and Learning Center. With summer just around the corner, The Family & Learning Center is once again preparing for our annual Summer Educational Development Program. During the summer months, intensive training programs are offered for students in need of remediating, strengthening, or enriching their learning skills. Our summer program runs from June 10th through August 23rd. Flexible scheduling options are available. Sessions begin at 8:30am, 10:30am, 1:30pm and 3:30pm and are two hours long. Monday through Friday for a total of 10 coaching hours in the week. Monday, Wednesday, Friday for a total of 6 coaching hours in the week. Tuesday and Thursday for a total of 4 coaching hours in the week. For additional information about our summer program and registration, please visit our Get Started page, or call 858-454-7303. Session times are reserved on a first-come-first served basis and fill quickly. Early registration is recommended. The post 2019 Summer ﻿Program Registration is Underway appeared first on The Family and Learning Center. 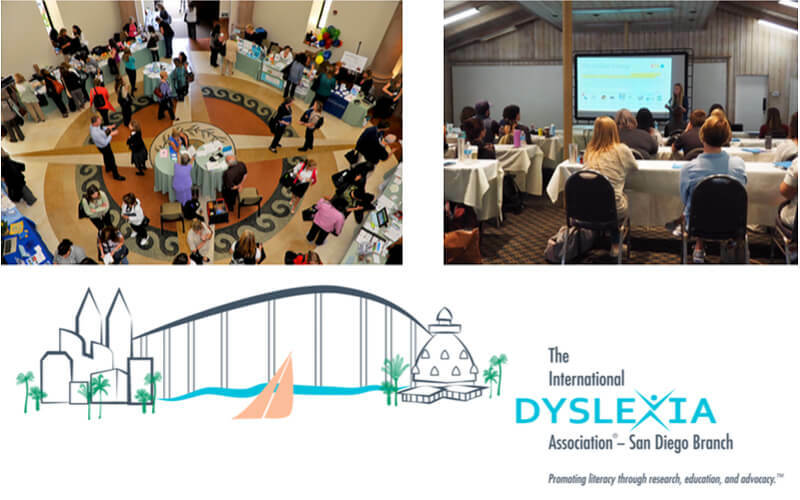 The post Assistive Technology Tools For Dyslexia – Upcoming Conference appeared first on The Family and Learning Center. Technology shapes our life experiences on a daily basis. When it comes to schoolwork, students today often access material through digital methods rather than print. The easy task-switching abilities of computers, tablets, and phones can make it more difficult to focus and slow down. However, when used effectively, technology can increase student productivity and independence. Assistive technology is any tool that supports a person’s weaknesses and enables him to show his full abilities. It can be as simple as a pencil grip and as advanced as a speech-generating device. In all likelihood, you use some form of assistive technology on a daily basis, and you could find another useful tool in the list below! Speech to text, also known as dictation, is built into most digital mediums, including Google Docs, Microsoft Word, iPads, and iPhones. Using speech to text can make typing quicker and easier for many people. If a student is working on a longer writing piece, it is generally beneficial to start from an outline or handwritten rough draft before typing the essay with speech to text. Rehearse the sentence out loud. Click the voice recording button. Speak the punctuation (e.g. “She walked to the store period”). Apple devices: Go to General → Accessibility → Speech. You can set up your phone or tablet to speak text selections and highlight content as it is spoken. You can also adjust the voice and speaking rate. Google Chrome: Get Google Read&Write as a free Chrome add-on. Microsoft Word: Select Review and click on Read Aloud. OCR stands for optical character recognition, which is a term for technology that recognizes and converts images of text into digital text. This can turn printed text into searchable PDFs and Word documents by scanning documents from your phone or tablet. Though the results are not always 100% accurate, they can still save time by providing more accessible texts. Speechify: Turns a picture of text into digital text that it reads aloud with a voice and speed of your choice. Adobe Scan: Turns hard copies into searchable PDFs. OfficeLens: Turns hard copies into PDFs, Word documents, or PowerPoints. The usefulness of technology often relies on personal preferences, so try getting started by picking a challenge that you or your child faces and matching it up with a technological tool. Then test it out. Here are a few additional free apps and websites you might find useful, and check out our helpful websites list for even more! The post Tips for Using Assistive Technology appeared first on The Family and Learning Center. Critical thinking strategies are some of the tools we teach students here at TFALC to improve executive function skills. These strategies help with problem-solving, organization, and self-reflection. Playing board games gives children the opportunity to apply critical thinking strategies and see a direct benefit. 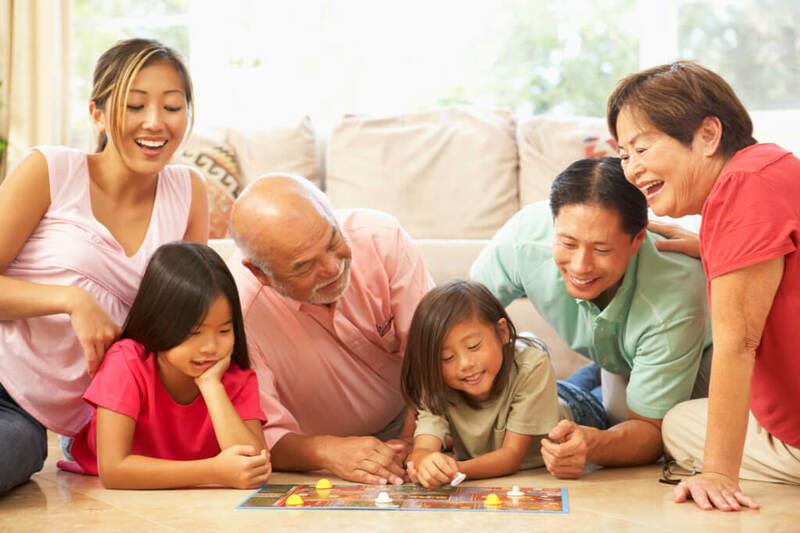 You can make the most of family game nights by modeling some of your own thinking out loud and asking your kids about their decisions in the game. Here are some of the critical thinking strategies you might use playing board games! Brainstorm what board game to play. If you don’t have the time for everyone’s favorites, encourage flexibility and suggest saving some favorites for the next game night or trying out a new game instead. When learning a new game, help your kids read the directions and say them in their own words or demonstrate how to read and paraphrase directions. As you start playing, consider which details are the most important and comment on paying attention to these details. If it’s a strategy game, remind your kids to stop and plan before making a decision. You can also say what you’re thinking as you stop and plan your own move. You might brainstorm potential consequences of your choice or talk about finding patterns in the game. For memory games, you can model how to form chunks by sorting objects into groups or splitting large items into smaller pieces. You can also suggest visualizing to remember key information. Reflect on your decision as you see the results begin to take shape. You can ask your kids why they made a move or what they think is going to happen next. Board games activate connections in players’ brains to help them learn, and reflection can help them learn how to problem-solve using critical thinking strategies. There are many ways we can incorporate critical thinking strategies into daily routines. Click here to read a blog post with more ideas about how to reinforce strategies at home. If your child would benefit from further developing his/her critical thinking skills, contact The Family & Learning Center today to learn how we can help! The post Board Games Build Critical Thinking Skills appeared first on The Family and Learning Center. Math fact fluency is an essential aspect of long-term math mastery. Young students pick up on its importance as they are drilled on addition worksheets and times tables. However, rote memorization of facts leaves out a key piece of procedural fluency. The National Council of Teachers of Mathematics defines procedural fluency as “the ability to apply procedures accurately, efficiently, and flexibly.” A student might know 78=56 without realizing that 567=8 or that seven 8-count packs of gum have 56 total pieces of gum. Those conclusions require number sense. Number sense sets up a foundation for both conceptual understanding and fact memorization. Developing number sense simply means supporting a student’s understanding rather than just automatic recall. Does the student understand the purpose of multiplication? Can he use the multiplication facts he knows to figure out ones he has not yet learned? Does he see the patterns in each fact family? Research shows that high math achievers don’t always know more math facts. They are just more comfortable using what they know flexibly. Improving this sense of how numbers work is one aim of the math curriculum in America. Many math educators are concerned that timed tests on math facts lead to math anxiety and prevent students from demonstrating their full understanding. Although these types of assessments might be useful in individual progress monitoring, there are many other activities we can use to practice math facts in a more flexible and productive way. Students should be thinking about the relationships between numbers, and then automaticity will come with time and practice. Go Fish: This card game classic can be easily adapted to practice addition and subtraction. Use a normal deck of cards with face cards removed. Choose a featured number and then challenge players to create pairs that add or subtract to create that number. Math fact cards: Stanford University’s Youcubed website suggests a number of conceptually focused math fact activities, including these “math cards” with various representations of multiplication for students to match up. Concentration: Match up visual representations of values with math facts by playing a memory game. Click here for a link to an online version or here for fraction and decimal practice. Multiplication Tic-Tac-Toe: Click here for this student favorite that requires thinking carefully about factors. If your child would benefit from further support in building math confidence and thinking flexibly with numbers, contact The Family & Learning Center today to learn how we can help! The post Math Fact Fluency: Creative Ways to Practice Math Facts appeared first on The Family and Learning Center. If you are the owner of TFALC Blog - The Family and Learning Center, or someone who enjoys this blog why not upgrade it to a Featured Listing or Permanent Listing?